Rex Stout's extraordinary, rotund, beer-swilling, agoraphobic character, Nero Wolfe, remains one of Detective genre's most fascinating, fully formed characterizations in American Detective Fiction History. The first of Stout's Nero Wolfe novels to escape the written page was Fer de Lance, as first interpreted for the big screen by Edward Arnold in 1936's Meet Nero Wolfe for Columbia. 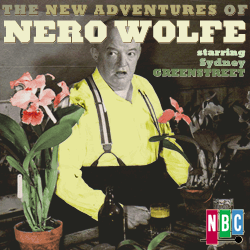 Nero Wolfe languished in popular media for another seven years, until he was reprised over Radio by the old New England Network as The Adventures of Nero Wolfe. Sadly, precious little is known about this first series, other than the dates of its run and its principal actor, J.B. Williams in the role of Nero Wolfe. It was with the series' transition to its first national network that The Adventures of Nero Wolfe was first heard by a national audience. But again, many of the details of this second, Summer 1943 run of 13 episodes--other than its episode titles and its star, famous character actor Santos Ortega in the role of Nero Wolfe--remain a mystery to this day. Indeed, we have only one representative episode of the 1944 run of The Adventures of Nero Wolfe in circulation to date--and that lone episode is preserved only by its inclusion as a selection for the Armed Forces Radio Service's Mystery Playhouse series. The production run starred Santos Ortega in the role of Nero Wolfe and Joseph Julian as Archie Goodwin.. 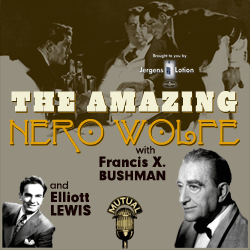 The next run of Nero Wolfe appears as The Amazing Nero Wolfe, starring Francis X. Bushman as Nero Wolfe, with Elliott Lewis as Archie Goodwin. As best as we can determine, this was a Don Lee-Mutual Network production from the West Coast. Indeed it may possibly have been broadcast only in The West. But again, we have one--and only one--circulating example episode from that series--the last episode of its run. Our standout favorite Archies among this gaggle were Wally Maher, Gerald Mohr and Harry Bartell. Why Syndey Greenstreet changed Archies so often remains lost to history for the moment. Generally the meatier of the two roles, more lines were usually spoken by Archie than Nero Wolfe. That's a testament to the fine actors chosen for the role of Archie during the run. 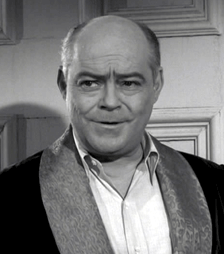 For them it was an opportunity to work with Sydney Greenstreet which, at the time, had to have been an excellent entry in their respective resumes. This is the series that has most popularized Nero Wolfe on Radio. Indeed, given the truly impressive talent of each of the replacement Archies, the performances over the entire run of this production remain well-mounted, highly listenable, compelling examples of the Nero Wolfe mystery franchise. 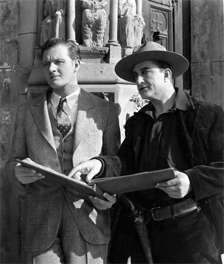 While Rex Stout himself was never truly satisfied with how his character was depicted in Film, Radio, or Television, he's said to have enjoyed Edward Arnold and Sydney Greenstreet's portrayals of Nero Wolfe, the most. I'm certain that if he'd survived to see A&E's wonderful Nero Wolfe Mystery series, he'd have been even more impressed. The next Radio airing of the Nero Wolfe mysteries appear in a Canadian Broadcasting Corporation production of 13 high-production-value episodes from 1982--arguably the finest run of Nero Wolfe mysteries to air over Radio. These starred Mavor Moore as Nero Wolfe, multi-talented Donald Francks as Archie Goodwin, and Cec Linder as Inspector Kramer. While more a revival series than a classic Golden Age Radio series, the Canadian run stands as the most accurately mounted series of episodes in the history of Nero Wolfe over Radio. Most of the Rex Stout stories from the CBC series appeared in A&E's marvelous A Nero Wolfe Mystery (2000). Indeed there are as many proponents of 1950's The New Adventures of Nero Wolfe as there are for the CBC run of Rex Stout's Nero Wolfe. We tend to lean more in the direction of the 1950 series, not so much for Sydney Greenstreet's depiction of Nero Wolfe, as for the Golden Age Radio atmospherics and patina of the older, more traditional broadcasts. 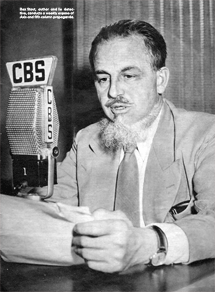 Indeed, though it's quite clear that the CBC and A&E probably got it most 'right', the nostalgic attraction of the much earlier 1950 series stands--for us, anyway--as the most authentic Radio incarnation of Rex Stout's marvelously complex character. With the notable exception of the marvleous A&E network production, "A Nero Wolfe Mystery" over cable television, Nero Wolfe hasn't fared very well over television. Italy's "Nero Wolfe" (1969) and Paramount Television's "Nero Wolfe" (1981, starring Bill Conrad) weren't Nero Wolfe's best moments; the former a mercifully short run and the latter a miserable attempt to cast Nero Wolfe in the 1980s. RadioGOLDINdex, Hickerson Guide, 'The Directory of The Armed Forces Radio Service Series', Time Magazine. All above cited provenances are in error in one form or another. The most helpful provenances were the log of the radioGOLDINdex and contemporaneous newspaper radio listings. 2. There is no provenance whatsoever to support the 46-12-15 date for the last episode of The Amazing Nero Wolfe. Indeed, an exhaustive examination of a wide range of contemporaneous Radio Listings for MBS affiliate stations throughout the U.S. shows no evidence whatsoever of this program for either November or December 1946. The only reference to an otherwise unidentified Detective Program is an MBS series named Detective Mysteries from Books. 3. There are, however numerous newspaper provenances for the series of Nero Wolfe programs listed as MBS productions from The Don Lee-Mutual Broadcasting network from the West Coast. Using these listings we can reconstruct a brief run of The Amazing Nero Wolfe working backwards from November 30, 1945. This is further supported by both the appearances of Francis X. Bushman and Elliott Lewis, both actors based in California. As further evidence, the sponsor, Post-War Jergens Lotion, emphasizes two key provenances within the one, genuinely existing episode of this series, The Shakespeare Folio. The sponsor breaks announce 'new' Post-War Jergens lotion, now available for Christmas. World War II finally ended, September 2, 1945, therefore it's quite plausible that Jergens Lotion could have mounted a campaign promoting 'new Post-War' Jergens Lotion by November 1945. 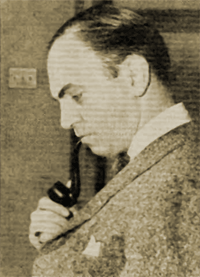 Since there are no further known episodes of The Amazing Nero Wolfe after 45-11-30, it seems reasonable to conclude that The Shakespeare Folio, announced as the last episode, was in fact broadcast on 30 November 1945, not the widely reported 46-12-15 date in virtually every known available log among the otr community. Luis van Rooten is Nero Wolfe in that episode (allegedly the last in that third series), or . . .
Santos Ortega inexplicably returned to the role in the last episode of the Luis van Rooten run, replacing Luis van Rooten for that one episode--the last. Contemporaneous provenances simply do not support the second conclusion. 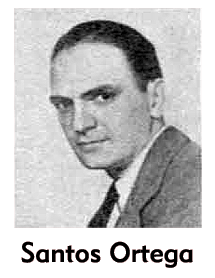 It is therefore our conclusion that the voice of Nero Wolfe heard in The Last Laugh Murder Case is that of Luis van Rooten--not Santos Ortega. We recognize that this flies in the face of 'conventional' wisdom in the 'OTR World', but not only do we not subscribe to the 'OTR' view of the world of Golden Age Radio, we contend that there exists no tangible provenance whatsoever to support that 'wisdom'. The 'OTR community' rarely ever provides any sort of provenance for their specious findings. We continue to repudiate any and all such findings not supported by an identifiable provenance. 5. It is widely alleged that the first three runs of The Adventures of Nero Wolfe comprised "over 60 episodes." This is not supported by any available provenance. 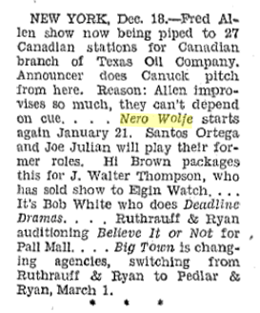 As best as can be proven by all known available contemporaneous newspaper radio listings from 1943-1944, there were no more than 51 episodes of The Adventures of Nero Wolfe broadcast between 1943 and 1944: The 12 episodes of the New England Network run, the 13 episodes of The Blue Network [ABC], Santos Ortega run, and the 26 episodes of the Santos Ortega/Luis van Rooten run which began airing after a four-month hiatus, during which the reorganized Blue Network aired The Johnny Morgan Show and other limited-run productions in that timeslot. Note in the Billboard provenance at the upper left, that the announcement cites the series 'returning to the air on January 21, 1944.' This may account for the 16 - 18 episode discrepancy between the actual broadcasts and the estimates long alleged as fact from the commercial otr vendors. Let's make this as clear as we possibly can: no current commercial otr vendors or otr book authors give a whit about the historical accuracy of what they're selling. None. Period. The J.B. Williams Company joined the growing group of concerns sponsoring thriller-detective radio programs when it started Wednesday to air the half-hour "Adventures of Nero Wolfe" over the five basic stations of the New England Regional Network. Advertising its "Glider" brushless shave cream, J.B. Williams thus becomes the first to take advantage of NERN's arrangement for free studio facilities in New York, without line charges to carry the program to the network. The show, based on Rex Stout's famous private-detective character, will be heard on WCSH, Portland, Maine; WJAR, Providence; WLBZ, Bangor; and WTIC, Hartford, from 7:30 to 8 p.m. Wednesdays. 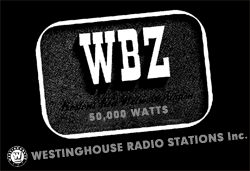 The other basic NERN station, WBZ in Boston, will air it on Saturdays from 6:30 to 7 p.m.
"NERO WOLFE" new drama series; WBZ. 6:30 to 6:45. NERO WOLFE adrentures, dramatized, WBZ. 6:30 to 7. NERO WOLFE adventures, dramatized, WBZ. 6:30 to 7.
of the Spoiled Broth," which will be heard Monday at 8:30 p. m. (EWT) over WJZ. Wolfe receives an invitation to a chefs' banquet. "The Case of the Spoiled Broth." "The Case of the Vacant Blonde." "The Case of the Noisy Ghost." Nero Wolfe misses out on his fee. in "The Case of the Deadly Million." Nero Wolfe adventure to be heard Monday at 8:30 p. m. (EWT) over WJZ. The adventure is probably the most memorable among Detective Wolfe's mysteries. In this case Nero misses out on his feea rare and almost Monday, at 7 p. m., EWT heard of mishap with Wolfe. NERO WOLFE Adventure: "Case of the Stuttering Record" WHDH, 8:30 to 9. "The Case Of The Stuttering Records,'' Nero Wolfe adventure to be heard Monday at 8:30 p. m. (EWT) over WJX, is no run of the mill murder mystery. As a matter of fact, it isn't a murder mystery. In "The Case of the Stuttering Records" the fabulous Nero uncovers as tricky an espionage plot as was ever dreamed up by the erring Nazis. The case demanded plenty of action, and on that hot summer night Wolfe wanted nothing more than to down cold beer. It was the matter of cold beer that set Archie, Nero's assistant, off into the night. While headed for the corner store he chances upon a dull-witted, good-humored neighbor who is fleeing from a band of thugs. Mountain That Came to Mahomet," starring Santos Ortega. 9:30 p. m.  Nero Wolfe (WENR): "The Case ol the Traveling Pajamas." 9:30 p. m.  Nero Wolfe (WENR): "The Case of the Superfluous Husband." 9:30 p. m.  Nero Wolfe (WENR): "The Case of the Princess Charming." 9:30 p. m.  Nero Wolfe (WENR): "The Case of the Bewildered Brothers." 9:30 p. m.  Nero Wolfe (WENR): "The Case of the Two-Headed Doll." 9:30 p. m.  Nero Wolfe (WENR): "The Case of the Wandering Wife." 9:30 p. m.  Nero Wolfe (WENR): "The Case of the Passionate Pigeon." 9:30 p. m.  Nero Wolfe (WENR): "The Case of the Tatooed Terror." 9:30 p. m.  Nero Wolfe (WENR): "The Case of the Lonely Corpse." 9:30 p. m.  Nero Wolfe (WENR): "The Case of the Coy Cadaver." 9:30 p. m.  Nero Wolfe (WENR): "The Case of the Dying Portrait." 9:30 p. m.  Nero Wolfe (WENR): "The Case of the Million Dollar Baby." 9:30 p. m.  Nero Wolfe (WENR): "The Case of the Tenth Tornado." 9:30 p. m.  Nero Wolfe (WENR): "The Case of the Burning Book." 9:30 p. m.  Nero Wolfe (WENR): "The Case of the Wrong Leg Murder." 9:30 p. m.  Nero Wolfe (WENR): "The Case of the Invisible Murders." This is also one of the episodes selected for AFRS's Mystery Playhouse series of re-broadcasts. 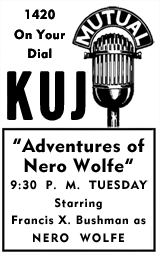 8:30--KFI--The second adventure of Rex Stout's brilliant, erratic, gargantuan detective, Nero Wolfe, finds a man calling himself Charles Porter giving a thousand dollars if Wolfe will not accept a case. 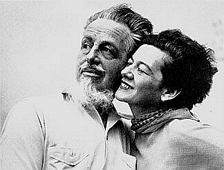 Rex Stout was born in Noblesville, Indiana, the sixth of nine children born to Quakers John and Lucetta Todhunter Stout. Educated in Kansas, he was recognized as a mathematics prodigy and continued his studies at the University of Kansas. 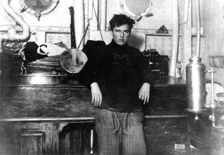 Stout quit college to enlist in the United States Navy, spending two years as Yeoman, then Warrant Officer aboard President Theodore Roosevelt's yacht, The Mayflower. Upon completing his two-year Navy service in 1908, he began writing by 1910 while working at a variety of jobs in six different states. With his brother, Stout devised, patented, implemented, and marketed a school accounting system to keep orderly track of the hundreds of small accounts of school children throughout some 400 elementary schools. The royalties he realized from this invention funded his travel to Paris to write full-time. While in Paris he wrote his first book, How Like a God, in 1929, a psychological fiction story written in the second person. 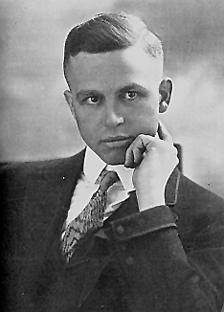 Stout mastered a variety of literary forms, including the short story, the novel, and science fiction. His 1934 novel, The President Vanishes, was considered a pioneering political thriller. On returning to the U.S. Stout turned to writing detective fiction in earnest. His first detective fiction novel was Fer-de-Lance, introducing the brilliant detective, gourmand, agoraphobe, and orchid fancier, Nero Wolfe and his rakish, fearless assistant, Archie Goodwin. Fer-de-Lance was published by Farrar & Rinehart in October 1934, and a month later in abridged form as Point of Death for the November, 1934 issue of American Magazine. Stout's ardent fans will recognize the Fer-de-Lance as one of his most often adapted stories, in Film, Radio and Television. In 1937, Stout created Dol Bonner, a female private detective introduced in The Hand in The Glove and who would later reappear in several of Stout's Nero Wolfe stories. Dol Bonner is considered an early, significant example of the female private investigator in popular fiction. From 1938 on, Stout focused almost exclusively on the mystery genre, writing the Nero Wolfe series -- at least one adventure per year--until his death in 1975. Rex Stout's mystery novels were brilliantly crafted, both challenging and satisfying to his readers, and wove a visceral image of Nero Wolfe's world. A world so realistic and accurate that his millions of fans worldwide can almost literally reconstruct the entire layout of Wolfe's mid-town Brownstone better than their own homes. Even more remarkable, Stout maintained that it took him approximately 39 days to write each of his novels, never re-reading any of them after he'd written them. This may explain why Stout was never very satisfied with the manner in which his novels were adapted for Radio, Film, or Television. He wrote his novels much as Beethoven wrote his music, composing the entire opus in their heads, then simply commiting the complete work to ink once--and only once, never editing them any further. Stout's keen sense of irony and his continual lampooning of aristocracy--foreign and domestic--may serve to explain his long-standing friendship with another literary genius, P.G. Wodehouse. Each was reportedly a great fan of the other's, and the attentive reader can readily see many points of comparison between many of their more quixotic characters and basic character development techniques. Three generations of daytime Soap Opera fans will probably recognize Santos Ortega as Grandpa' Hughes, one of their most beloved characters on As The World Turns for almost 20 years. But to Golden Age Radio fans the world over, Santos Ortega will forever be remembered as one of the most recognizable voices in Radio. 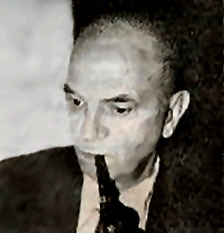 Santos Ortega's work in radio spanned not only the entire Golden Age of Radio, but more importantly, spanned virtually every genre, every range of character, and certainly every conceivable range of his incredible voice instrument. Santos Ortega's Radiography reads like a Who's Who of some of the most prestigious Classic Radio programs in history. Ortega's body of work represents virtually every sub-genre of drama available throughout the Golden Age of Radio. You'll remember his numerous roles on Inner Sanctum for virtually it's entire run. He appeared in over 20 of the prestigious Columbia Workshop's Experimental Radio series. He lent the weight of his voice to many of the most patriotic and inspirational productions of the era. His work over the years on Radio's The Eternal Light was a long-running audition for his Television work to come. It's no coincidence to any dyed-in-the-wool Radio aficionado that they recognize Ortega's name from end credits. This was one of Radio's hardest working voice talents. His voice-overs on Gang Busters remain firmly embedded in the psyche of any child of The Golden Age of Radio. The range of his characterizations on The Shadow had him returning for more and more appearances each passing year. The list of truly memorable voices from The Golden Age of Radio is a regrettably short one for the vast majority of casual listeners, but it's a safe bet that even the most casual Golden Age Radio fan has heard Santos Ortega's name mentioned over and over again. His career in The Arts ran almost 45 years but for his newest fans, it's the magic of Radio that will, in all likelihood, find him tens of thousands of fans for generations to come. It's no coincidence that Luis van Rooten and Santos Ortega are on the same page of biographies for Nero Wolfe. Their names appear together within the logs of literally hundreds of series from The Golden Age of Radio. Both of their radiographies read like the A-List of programs from The Golden Age of Radio. 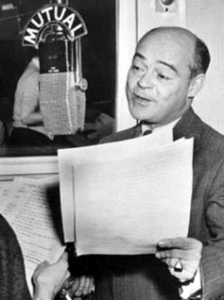 Between 1938 and 1962--virtually the entire span of The Golden Age of Radio--Luis van Rooten's name appears in the credits of every significant radio program within that 25-year span. Even more impressive is the fact that in parallel with that extraordinary Radio career, van Rooten's name appears in almost a hundred Film and Television credits. Mexico born Luis D'Antin van Rooten wasted no time making his mark in The Arts of America. Raised in the U.S., he received his B.A. in Architecture from The University of Pennsylvania and had already developed a respectable career as an architect long before he entered the service during World War II. But ironically enough, it was in the Service that he became attracted to Drama. Upon returning to civilian life, he began getting involved with the Cleveland Playhouse. 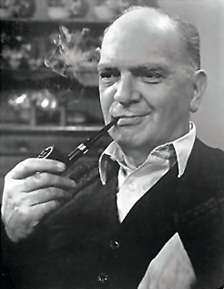 This led to some work in radio serials, and his title role as the great Nero Wolfe; certainly the kind of role any young actor could really sink his teeth into. Van Rooten's multiligual talents were also invaluable to his country helping with special French, Italian and Spanish broadcasts for the government throughout the War years. While his Film and Television roles were usually limited to 'heavies', 'weasals', or one type of unsavory character or another, his Radio work spanned the depth and breadth of every dramatic genre imaginable. From action-adventure to crime, mystery and detective drama to the most sensitive straight dramatic portrayals of the era, Luis van Rooten's body of work dwarfs that of the vast majority of his peers. This diminutive, bald, sensitive man with the voice of a giant remains part and parcel of the very best voicework of The Golden Age of Radio. A gifted dialectician, van Rooten's range was truly extraordinary. But in The Arts, van Rooten was truly a Renaissance Man of the highest order. In addition to his work on the Stage, in Film, Television and Radio, van Rooten also made his mark as both an accomplished artist and author, eventually becoming a respected authority on horticultural science as well. Luis van Rooten left his mark in the world on many fronts, but it's the magic of Radio that will continue to capture the attention of fans--old and new--for generations to come. 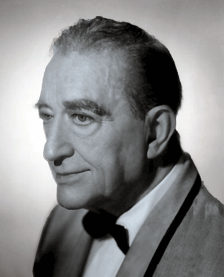 The legendary Francis X. Bushman was the first 'King of The Movies', a title he held until a new generation of fans passed that mantle to Clark Gable. 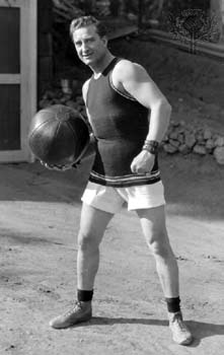 This legendary Film and Television actor claimed well over 250 appearances--most in a starring role--during a big and little screen career spanning 55 years. But what escapes the memory of millions of his worldwide fans, was his highly respected parallel career in Radio. This legendary, enviably busy actor somehow found time for over 2,500 radio appearances during The Golden Age of Radio. But lest one think Mr. Bushman limited his extensive drama talent to the heavier, traditional melodramas, one glance at his Radiography shows a breadth of appearances with few equals. This was an actor--and gentleman--who knew both when to take himself seriously, and when to enjoy poking light-hearted fun at his Stage and Film personae--both reasons why this amazing man remains one of the most beloved actors of the 2oth Century. Francis Xavier Bushman began his working career with few real aspirations. He'd joined a body-building studio after graduating from high school and spent much of his early working years in New York as an artist's model. By 1902 he'd married a seamstress, Josephine Fladune, and by the time he began acting in community theatre in Chicago, his young family had expanded to five children. While in Chicago he was 'discovered' at Broncho Billy Anderson's Essanay Studios. 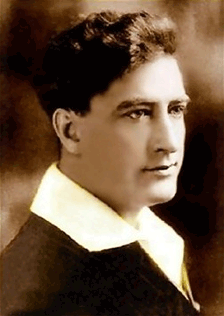 Noticed as much for his striking physique as for any real acting talent, his muscular stature and handsome features soon propelled him into a rapid series of 17 silent films during his debut year, 1911, alone. Thereafter, followed some 175 silent film roles in rapid succession by 1918. And no, that's not a typo. That's 175 separate silent film productions within a span of eight years. It's no wonder that the silent film industry ground up so many notable silent film stars during so relatively few years of production. Nor is it any wonder that a rare few long-running silent film actors made a successful transition to 'talkies'. Clearly, it wasn't simply the lack of a commanding voice that held many of those overworked actors back during those early days. It wasn't until his role as Messala in the 1925 epic, Ben Hur, that Bushman had a real opportunity to leave his mark. 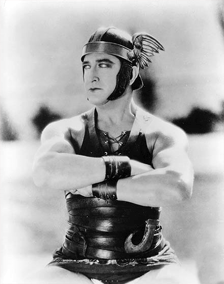 He was a natural for the role, and though he'd sought the starring role of Ben Hur, his performance, striking build, and actual experience handling a team of horses stole the limelight from Ramon Novarro. Though paid handsomely for his Film work for most of his career, he lost many promising opportunities to other actors over the years. A series of relatively minor scandals--by today's standards--held him back, and Louis B. Mayer himself blacklisted Bushman for several years. But by the time Francis X. Bushman semi-retired from an active Film career he undertook several successful--and unsuccessful--small businesses, and on the strength of both his legend and his persona, enjoyed a very successful third career of guest appearances in Television and Film up until his death in 1966. Francis X. Bushman was a refreshingly unsophisticated, extremely generous gentleman for his entire perfoming life and is as fondly remembered for his kindly, warm personality as for any contributions he made during his acting career.